From one-day seminars for high-potential future leaders, to senior academic level networking events, QS organizes a series of conferences in both the B2B and B2C space. QS organizes a number of thought leadership conferences, including Re-imagine Education and The Higher Ed Summit to help foster academic excellence and innovation, connecting education peers and promoting inclusion, discussion and drive for academic excellence. The conference, heading into it’s sixth year, brings 500 education professionals – including academia, government policy influencers, and ed tech startups – to London, where topics under discussion range from how we might better measure learning gain to potential implementations of block-chain in educational settings. The conference also features the culmination of the Reimagine Education Awards, where the world’s most innovative pedagogy and ed tech solutions are rewarded at a climactic gala dinner. Proudly sponsored by Amazon Web Services, the competition attracts over 1,100 applications each year across 16 award categories, with $25,000 in Amazon Web Credits offered to our Overall Winner. The strongest applications in each category are given the opportunity to showcase their work on the conference’s first day, ensuring that Reimagine Education provides a unique forum for academics and ed tech professionals alike to share, and foster, pedagogical best practice. Edu Data Summit is a premium event focusing on data and its impact on the higher education sector. Taking place once per year, it addresses the increasing importance of data and data analytics, to make universities more efficient, effective, innovative and competitive. QS’ Asia-Pacific Professional Leaders in Education ‘QS-APPLE’, is the prime conference and exhibition for international educators within the region. Parallel sessions – featuring general and specific aspects of international higher education. 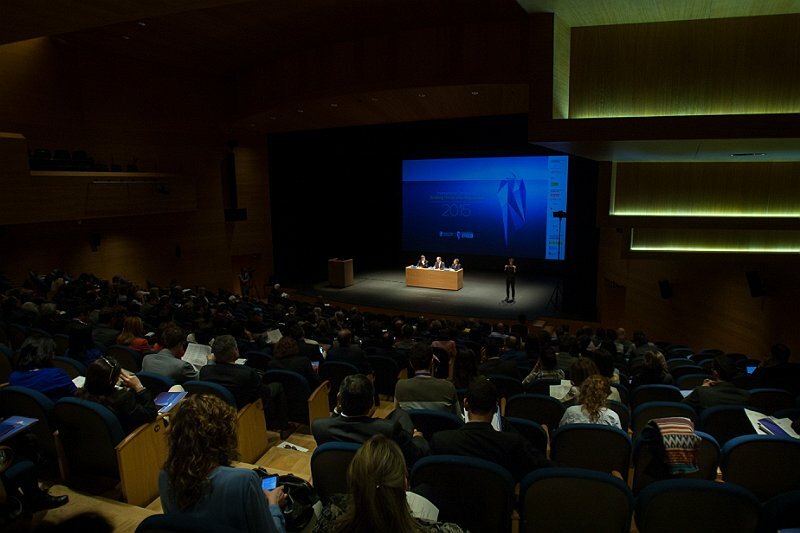 Plenary sessions – with keynote addresses by leading authorities on higher education. QS Squared Debate – Exciting, interactive engagement of the academia for the better understanding of higher education concepts. QS Rankosium – providing insightful knowledge on university rankings. Exhibition – leading universities and other higher education institutions from around the world showcasing their institutions and program. Creative Awards – for best international education promotional design in four categories. Vibrant social program – comprising ice-breaker reception, conference dinner and closing lunch during the three conference days, for more relaxed networking. QS’ Middle East and Africa Professional Leaders in Education ‘QS-MAPLE’, aims to contribute to building world-class universities for Middle Eastern and African communities through the exchange of best practice and global partnership. Learn from presidents, vice-presidents, deans and provosts about best practices in managing successful academic-industry linkage. Share your knowledge with other like-minded peers, network with top university representative from Asia, Middle East, Europe and Latin America. Learn best practice from branding and marketing your institution through case studies and expert knowledge. QS’ Women in Leadership events provide a platform for women MBA candidates, admissions representatives and alumni from some of the world’s leading business schools to meet in an intimate and stimulating environment. Currently, women make up around 50% of GMAT test takers but less than 30% of those enrolled on to MBA programs. We hope to provide the tools necessary to encourage more women to take the next step and apply to business school and fulfill their potential. The Women in Leadership events are aimed towards women who are considering business education as well as MBA admissions directors, and multinational corporations aiming to increase their female representation on their program/organization. Those invited can attend three hours of women-focused seminars, presentations, panel debates, leadership workshops and practical advice to the most ambitious female MBA candidates. After the event, attendees can speak to more business schools at the QS World MBA Tour fair. The annual MoveOn Conference offers participants a platform to meet international colleagues who are using MoveOn, a software that enables higher education institutions to control and manage their internationalization activities, reduce their daily administrative workload, improve their efficiency, and ultimately saving time and money. The MoveOn conference is an excellent opportunity for the members of the continuously growing MoveOn community to connect with more than 200 colleagues from 22 countries, discovering new online versions of MoveOn during more than 50 sessions, exploring best practice strategies and expanding their knowledge during the first class tutorials & thematic workshops. Set your personal focus and choose from more than 50 multilingual sessions offered. Be inspired by the powerful features in the new MoveOn 4 Live. See how international relations and partnerships can be easily managed. Learn how to boost your website with the help of our online publishers and the use of interactive maps. Discover how the new online forms and document uploads simplify application processes. Get to know more about the various communication features. Learn how to improve assessment and assignment processes with MoveOn 4. Explore the full potential of MoveOn in the best practices & case study sessions. Get to know the MoveOn community & its members. Share your ideas and interests with colleagues. QS in Conversation was developed for the exchange of higher education trends worldwide amongst presidents, deans, administrators, academics, and higher education enthusiasts. QS gathers interested parties to a friendly and huge roundtable to discuss current higher education issues and developments in specific areas of interest. QS’ premier international forum for higher education leaders, QS Summer School Summit, fosters the discussion of summer school management (and other short-term programs) as well as the exploration of new summer school destinations for students and expansion of student-faculty exchange networks. The rise of summer schools is one of the quiet revolutions that is transforming the global higher education system. Accessible and flexible summer schools offer students a diverse range of international experiences, whether it be to explore a specific academic interest or to ‘just take the plunge’ and experience living and studying in a foreign country for the first time. Because of this, the number of students wanting to attend international summer schools is rapidly growing. On the other hand universities see summer school as a valuable addition in their international programs portfolio. Hosting a summer school can support the internationalization of their campus, the recruitment of international students, and the strengthening of relationships with other universities. The QS Summer School Summit is the premier international forum for higher education leaders to discuss summer school management (and other short-term programs), explore new summer school destinations for their students and expand their student- and faculty exchange networks. In addition to unparalleled networking, the QS Summer School Summit offers opportunities to share best-practices and stay abreast of the latest developments in short-term student mobility in Asia and around the world. QS’ Subject Focus Summit brings together academics, senior higher education administrators and industry professionals from a variety of subjects included in the QS Subject Rankings. This group of people, who are at the nexus of society, research and education, are the change agents of their specific academic field. By providing a global forum for networking and the exchange of new ideas, the summit aims to bring about a deepened and shared understanding of the challenges and opportunities facing the subject in focus, and the strategies needed to overcome them.